Root canals in St. Louis are common procedures in family dentistry. A dentist advises patients to have a root canal when the tooth’s inner pulp becomes infected or inflamed. Most often, patients report to their dentist office complaining of tooth pain or sensitivity. Some patients may also notice that the affected tooth has become discolored, while others feel tenderness and pain in their gums. Keep reading to learn more about the steps involved in root canals, including a full examination, initial procedure, and tooth restoration. The first step in treating root canals involves a full examination by a dentist. After you report to your dentist with root canal pain or another symptom, he or she will take an X-ray to determine the extent of the infection. Next, your dentist will diagnose you with a root canal, and explain how the infection occurred. Root canals are generally performed after trauma to the tooth, deep cavities, or dental procedures. Finally, your dentist will arrange a time when you will return for the root canal. During the root canal procedure itself, your dentist will gain access into the root canal. The tooth pulp and decayed nerve tissue are completely removed, and the tooth itself is cleaned out. Disinfectants will be used regularly to flush away infected tooth tissue. Once the tooth has been thoroughly cleaned, it is sealed. Your dentist may also place medication inside the tooth if it is more seriously infected. The final closing of the tooth will happen the same day. Depending on the tooth, you will receive a crown or a filling. 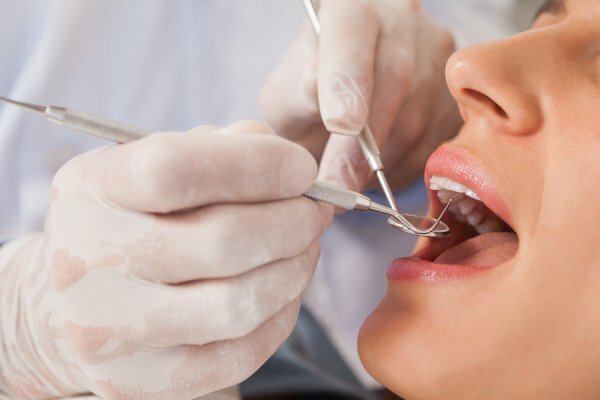 Whether you want to know more about root canals or are interested in cosmetic dentistry procedures, contact Dr. Spalitto and his team by calling (314) 821-2712 today.